Published by Daniel Lewis on March 8, 2015 at Bleacher Report. Click to read article at Bleacher Report. One-quarter of the “Legion of Boom” is headed to Philadelphia. 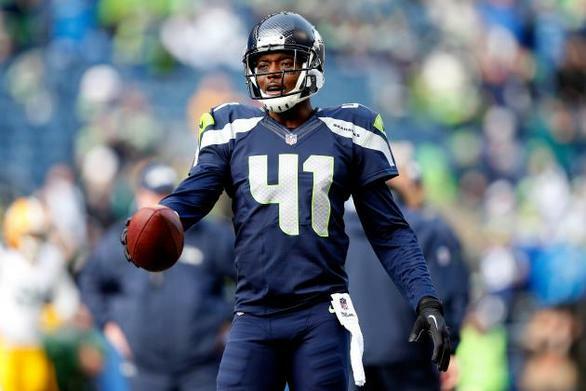 Byron Maxwell has agreed to a five-year, $53 million deal with the Philadelphia Eagles, according to Jayson Braddock. The contract reportedly includes $25 million in guaranteed money. Philadelphia released its No. 1 cornerback, Cary Williams, last week. Meanwhile, Bradley Fletcher, the team’s other starting cornerback last season, is entering free agency. The Seattle Seahawks selected Maxwell, 27, out of South Carolina in the sixth round in 2011. He earned the starting nod in the final five games in 2013, impressing the Seahawks with his play en route to a victory in Super Bowl XLVIII. In fact, Maxwell’s play alongside Richard Sherman made Brandon Browner and Walter Thurmond expendable last offseason. Sidelined for three games due to a calf injury, Maxwell was a starter in all 13 games in which he appeared during the 2014 season. He logged two interceptions in addition to 12 passes defensed. He played the outside corner spot while also sliding inside to play the nickel spot at times last year. The Eagles cannot officially offer a contract to Maxwell until Tuesday at 4 p.m. ET, so the supposed agreement between the two parties remains an agreement in principle. According to ESPN, the Eagles had to fend off the Seahawks, who made an attempt to lure Maxwell back to Seattle with a last-minute deal that fell short of the Eagles’ offer. It is worth noting that the Jacksonville Jaguars, coached by Gus Bradley, and the Atlanta Falcons, led by new head coach Dan Quinn, were also interested in Maxwell, according to Seattlepi.com's Stephen Cohen. Thus, the three teams that were Philadelphia’s main competition for Maxwell’s services were those led by his former coaches. The news that Maxwell’s previous two defensive coordinators and his former team pursued him underscores that he is held in high regard by the coaches who have worked directly with him. In Philadelphia, Maxwell will get to work with new secondary coach Cory Undlin, who most recently filled the same position with the Denver Broncos in 2013 and 2014. Undlin coached three cornerbacks who wound up in the Pro Bowl last year. He essentially transformed Chris Harris Jr., an undrafted player out of Kansas, into an elite cornerback. He also coached up Ohio State rookie Bradley Roby into one of the game’s rising cornerbacks. If Undlin and defensive coordinator Billy Davis can integrate Maxwell into the secondary, the Eagles will have upgraded a group that finished 31st in the NFL against the pass last season, giving up 264 yards per game. Even worse, the Eagles ranked worst against the pass in 2013. Indeed, the Eagles secondary struggled mightily, especially toward the end of the season as Philadelphia slid out of the playoff picture. Using a scheme that placed the cornerbacks in many man-to-man coverages, the Eagles allowed a league-worst 72 pass plays of 20-plus yards. Although Maxwell lacks the pedigree of his All-Pro teammate Sherman, his compatriot had high praise for him. A popular refrain is that Maxwell benefited playing as part of the Seahawks’ “Legion of Boom” secondary with Sherman and All-Pro safeties Earl Thomas and Kam Chancellor. In fact, naysayers may point to the fact that Maxwell ranked a mere 45th among NFL cornerbacks last year based on the advanced statistics from Pro Football Focus. However, Pro Football Focus also rated Bradley Fletcher—the very same cornerback who basically single-handedly cost the Eagles their playoff spot—as the ninth-best free-agent cornerback in 2013. Just as a simple eye test would show that Fletcher was downright abysmal for the Eagles last season, it would also show that Maxwell put in strong work lining up against some of the league’s best receivers, including Dez Bryant and Jordy Nelson. In fact, with quarterbacks gun-shy throwing in the direction of Sherman, Maxwell was targeted once every 5.7 snaps, per ESPN.com. Despite Maxwell being frequently targeted, opposing signal-callers experienced limited success against him, averaging a subpar 81.1 passer rating. Maxwell has many qualities that Davis and Chip Kelly want in their corners. He is 6'1", weighs 207 pounds and has extremely long (33 ½") arms. He also brings the ability to play on the outside or in the slot as well as playoff game and Super Bowl experience. Maxwell has also strong hands at the line that lend themselves to press coverage. Additionally, he shows good technique running with receivers and knows when to turn and make a play on the ball. Aside from having the measurables and skills the Eagles covet, Maxwell also fits the Eagles’ defensive scheme. The Seahawks were primarily a single-high defense, using Cover 3 or Cover 1 schemes on the majority of plays. The same can be said for the Eagles, and so Kelly and Davis should be able to easily envision how Maxwell can fit into the Eagles defense. “They run the schemes that I’m talking about—Cover 3 and man-press. And they’re committed to winning,” Maxwell said to the Philadelphia Inquirer's Jeff McLane, talking about the Eagles in advance of free agency. The Eagles desperately needed a corner like Maxwell who can play press coverage at the line of scrimmage and turn to cover vertical routes without constant safety help. Now, for the first time in years, the Eagles have a cornerback with the size and speed to slow down the high-profile receivers of the NFC East—Odell Beckham Jr., Dez Bryant and DeSean Jackson. Thus, his presence alone will make a huge difference in at least six games each year. Overall, Maxwell brings a lot to the Eagles. He has the measurables and appears to fit the Eagles’ scheme. He is also young, is an elite tackler and seems to be a high-character player. Most of all, though, Maxwell represents the first piece of what figures to be a much-needed makeover of the Eagles secondary this offseason.